We are delighted that Leeds Studio has received a Strategic Touring Grant from Arts Council, England to revive and tour Nine Lives by Zodwa Nyoni performed by Lladel Bryant. Fleeing from his home in Zimbabwe where a fresh wave of homophobia threatens his life, Ishmael has sought sanctuary in the UK. Dispersed to Leeds, he waits to hear his fate, he waits for a new life to begin amongst strangers. Strangers who don’t trust him and don’t want him there. But not everyone is bad… can he find a place to call home again? ‘the wit of the writing and lightness of the playing style gives the play its depth’ The Herald. 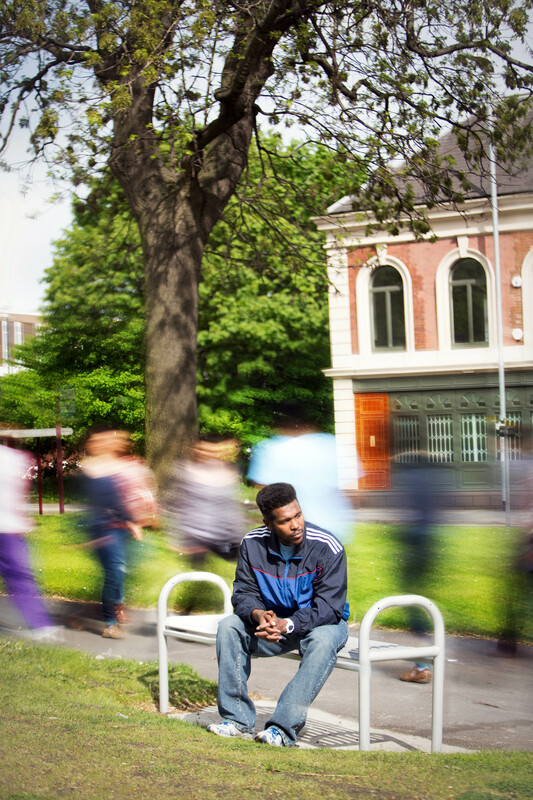 Leeds Studio, in association with West Yorkshire Playhouse, will be touring Nine Lives to 18 venues across UK from 21st June 2015 to 30 January 2016. Full tour dates available soon. The production will be accompanied by a programme of audience development and participation engaging refugees and asylum seekers and raising awareness of the issues around LGBT asylum. We are working with City of Sanctuary, Counterpoints Arts and UK Lesbian and Gay Immigration Group. This entry was posted in Nine Lives and tagged Alex Chisholm, Asylum, Funding, Lladel Bryant, Nine Lives, Refugees, Theatre, Touring, Zodwa Nyoni. Bookmark the permalink.